1. The master bedroom has a King size bed with a flat screen TV and privet bath. 2. Queen size bed is in 2nd guest room with a Flat screen TV. 3. Bunk beds with a trundle in the 3rd bedroom and a Flat screen TV. The condo sleeps 7 comfortably, it is tastefully decorated with all brand new furniture. Amenities include free high speed internet, free parking for 2 cars, indoor pool, outdoor pool, a hot tub, barbecue/picnic area. This unit is located one block from Barefoot Landing, Alabama Playhouse, House of Blues, and multiple restaurants. * The condo association does not allow motorcycles , trailers, pets or (TENTS) on the beach sorry for any inconvenience. on web site HOMEAWAY.com 706 ID # 4133939 on this web site. Please take a look. I am retired Army Combat engineers . I have been In construction all of my life and know how to create a nice property were I would wish to go too with my family . I was very selective in finding this home it is right on the beach great location to every thing . All the pools are kept clean and well maintained , with parking very close . This condo is centrally located in the heart of shows, concerts, restaurants and shopping. 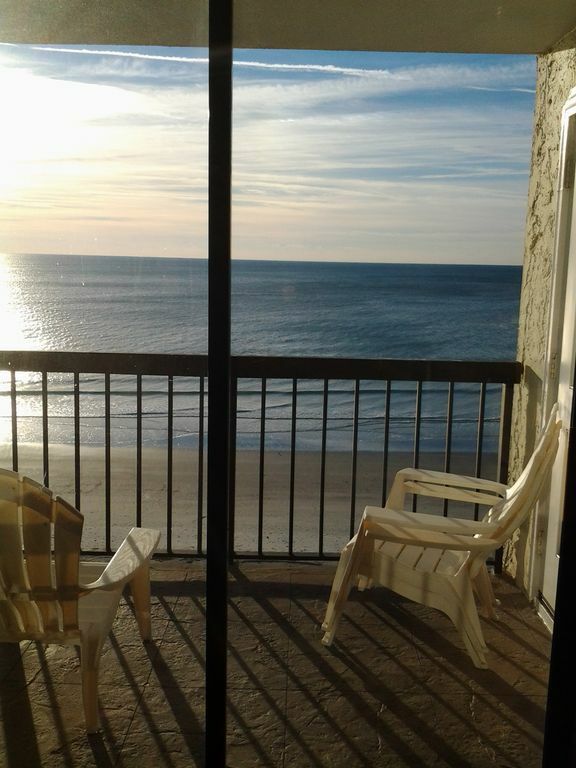 Our home is directly on the beach with an amazing view that you never wish to leave . No house parties. No pets. No smoking. Wayne we want to thank you for having such a nice and all the help in telling us great places to go and things to do . Your home was nice and clean and fully loaded with all that we needed. The Indoor pool was very nice on the rainy days we had . This condo is very nice will definitely visit again! Wayne was very nice and replied to message quickly when inquiring about rental. You will not be disappointed!!! We enjoy having our guests have a great time and like to hear from them . We are Happy you had a great time and hope to hear from you again . Thank you for choosing our home for your vacation . This rental property is spectacular. It has an amazing view of the ocean and is in very close proximity to many restaurants and attractions. Hoping to return again next year. Thanks Wayne and Carol for an awesome stay at your home on the beach. We thank you you for a great response and we are so happy you had a great time . We value our vacations as much as you do, we know how important a break from the fast pace of life is needed. We try very hard to make things smooth and easy so you can get the most out of you time off . This condo had an awesome ocean-front view! It was decorated nicely, and was very clean. The beds and sofas were comfortable, and the kitchen was updated. Using numeric keypad codes to access the building & condo was very convenient! Thank you for opening up your home to us! Wayne was super responsive and helpful in the booking process. Came up to NMB for a quick weekend trip to see a concert at House of Blues (less than a mile away). The condo is fully loaded, comfortable beds, amazing views, super easy to access. Virtually no traffic in front of the condo which is great for anywhere in MB. The beach is not crowded, and you can rent an umbrella as needed from the Park Authority, and they deliver it to you on the beach, and set it up. Our only regret was that we couldn't stay longer and enjoy the condo more. Never even turned on the TVs. Will be staying here again. We Thank all our renters for any suggestions and input for making our home a great place to stay and helping new renters know how nice it is.